What does "school lunch" mean in American English? Is it ambiguous between a lunch provided by a school and a lunch prepared at home like a bag lunch? a lunch prepared at home and taken to school to be eaten there. As a footnote, you should remember that any two-word term like "school lunch" may have more than one meaning. Moreover, when you say "in American English," you should know that regionalisms may and often do apply. Hotdish and a frappe for lunch, anyone? 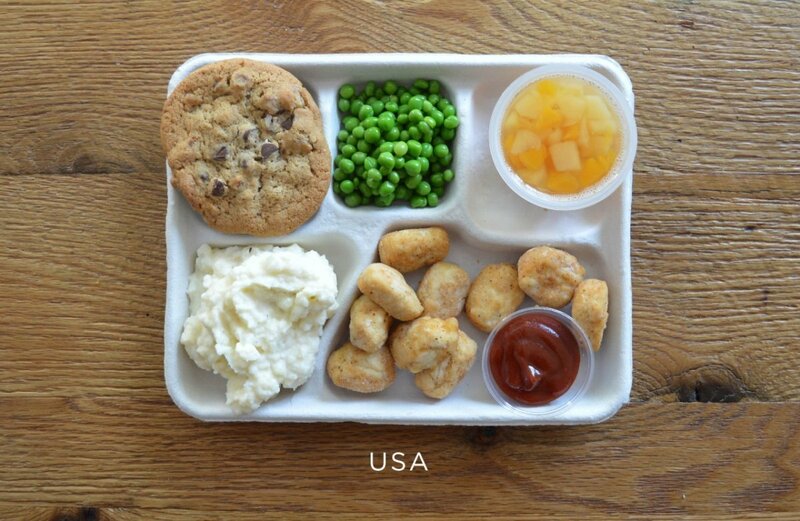 I'm not American but "school lunch" is a meal, typically in the middle or beginning of the school day, provided to students at school. That's what Wikipedia says. 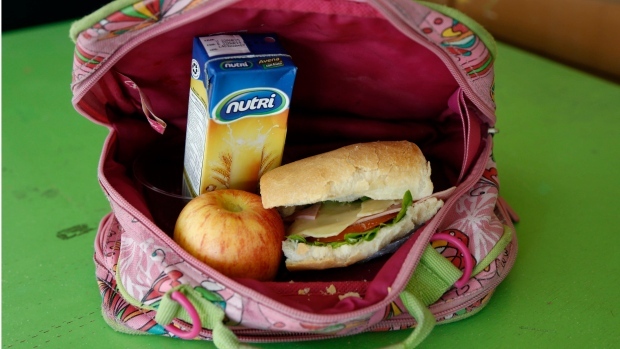 Your second description "lunch prepared at home like a bag lunch" is actually a "packed lunch" (or bag lunch in North America) - a lunch prepared at home and carried to be eaten somewhere else, such as school, a workplace, or at an outing. As says Wikipedia. School lunch is the meal eaten at school. Now here in this sentence it doesn't say anything if the lunch is provided by the school authority or prepared at some other place with the objective of eating it at school. So the school lunch is the typical lunch that is packed at home to be eaten at school, or provided by the school itself to be eaten at lunch break at the school. It's estimated that 30.6 million students in the US get their lunches in the school cafeteria versus bringing it from home. (Source). To add on to the other answers: "School lunch" is ambiguous. It could be provided by the school for the midday meal, or one that you bring with you to eat at school. Without context, you don't know for sure which is meant, or even if there is any relevant difference. Mister Potter. As you have been told, school lunch is for eating or playing with your friends. It is not for drawing magic circles and transforming your fellow students into newts. We are not that kind of school. Again, context is important to understand which is meant. Not the answer you're looking for? Browse other questions tagged phrase-meaning american-english or ask your own question. What are the differences between the pronunciation of “bidet” in American and British English?